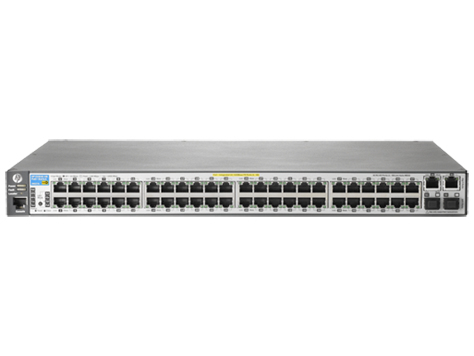 The HP 2620 Switch Series consists of five switches with 10/100 connectivity. The HP 2620-24 Switch is a fanless switch with quiet operation, making it ideal for deployments in open spaces. The HP 2620-24-PPoE+ Switch, HP 2620-24-PoE+ Switch, and HP 2620-48-PoE+ Switch are IEEE 802.3af- and IEEE 802.3at-compliant switches and provide up to 30 W per powered port. The HP 2620-48 Switch has variable speed fans for quiet operation. 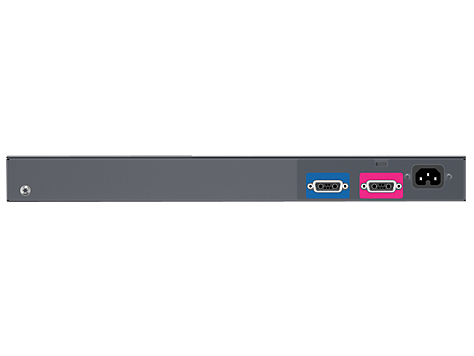 All 2620 series switches include two 10/100/1000BASE-T ports and two SFP slots for Gigabit Ethernet uplink connectivity. An optional redundant external power supply is also available to provide redundancy in the event of a power supply failure. With IPv4/IPv6 static and RIP routing, robust security and management features, free lifetime warranty, and free software updates, the HP 2620 Switch Series is a cost-effective solution for customers who are building converged enterprise edge networks.